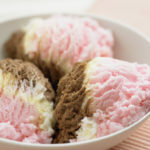 There are certain health-offending foods out there that are so bad for your health that they can do some real damage, even in small quantities. While it’s true that everything is okay in moderation, you’ll be doing your body a good by keeping some of the worst food to a minimum. French Fries. French fries are everywhere. 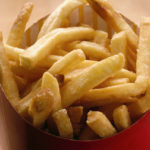 While some fast food places are currently offering alternatives to French fries, for the most part they’re still served as a standard. Potatoes can be healthy when cooked in certain ways, but you should avoid deep-fried potatoes, like they are in most restaurants. If you enjoy potatoes, consider eating a baked potato or opt to enjoy mashed potatoes. Also, try to have more sweet potatoes as they’re packed with even better vitamins and fiber. Donuts. Donuts can be delicious treats, but the calories and fat content add up quickly. While it’s okay to have a little treat, most people end up eating more than they should. If you’re looking for a good alternative to this popular morning treat, consider a plain whole grain bagel and some fresh fruit. You can also try banana, pumpkin, or zucchini bread. Fruit Smoothies. Fruit smoothies make the worst offender list because they’re a health food in disguise. Sure they are made of fresh fruit, but there is often added sugar and/or cream. They’re also often served in large portions. This means that one smoothie may even eat up all of your calories for the day. You can combat this problem by making your own smoothies out of lower calorie fruits, or you can opt for smaller portions or diet smoothies. Pie. Pies are another dessert item that’s best left for a special occasion. They’re packed with extra sugar and, often, large amounts of trans fat. One slice of pecan pie can actually top the 500 calorie mark. You can attempt lower calorie pies by using more fruit and less sugar, cream and nut additives. Chocolate. Chocolate is certainly a tough one to give up! It tastes great and can even make you feel better. However, it’s high in calories and fat and, therefore, should be limited. 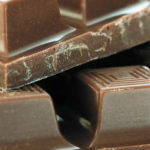 If you must have chocolate opt for dark chocolate in small quantities because it actually has the health benefit of antioxidants. Margarine. While margarine was once advertised as a healthy alternative to butter, it’s actually not. It doesn’t contain cholesterol, but many cheaper varieties contain trans fatty acids. Data is coming back about the health risks of consuming trans fats, so they’re best avoided all together. Your best bet is to use smaller quantities of butter when necessary, or opt for margarine that is labeled as trans fat free. You’ll find that most of the offenders have lower fat alternatives. While they may not taste as good to you at first, it’s best for you and your health in the long run. Keep in mind that you can indulge yourself every once in awhile, but control is key.